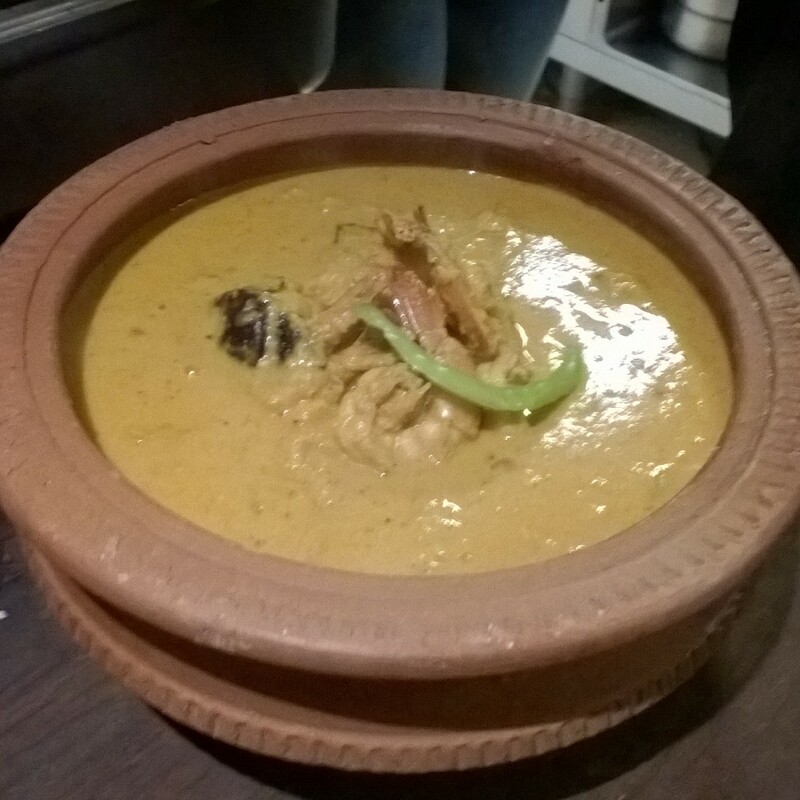 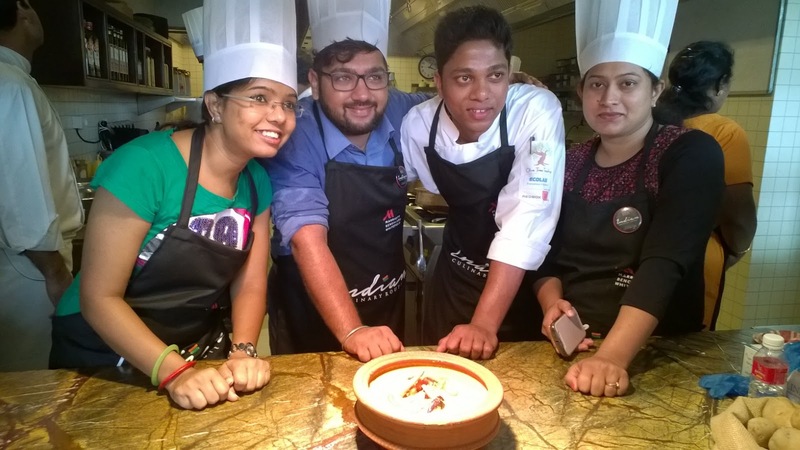 Bengaluru Marriott Hotel, Whitefield is all set to take Namma Bengaluru on a gastronomical journey. 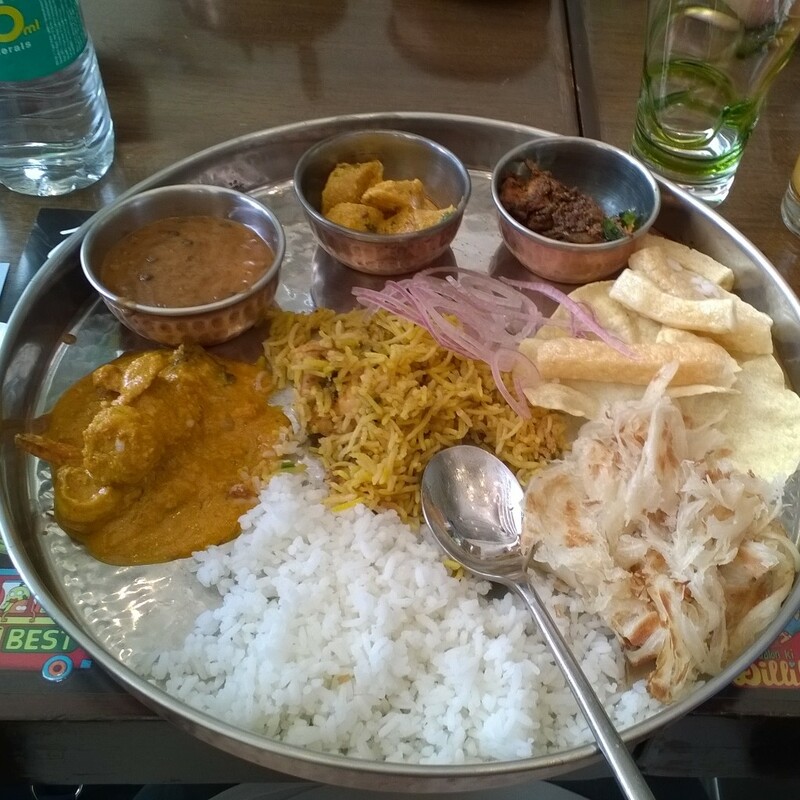 Get ready to experience the tastes and flavors from regions across India as the hotel brings the whole country on a platter for Bangaloreans. 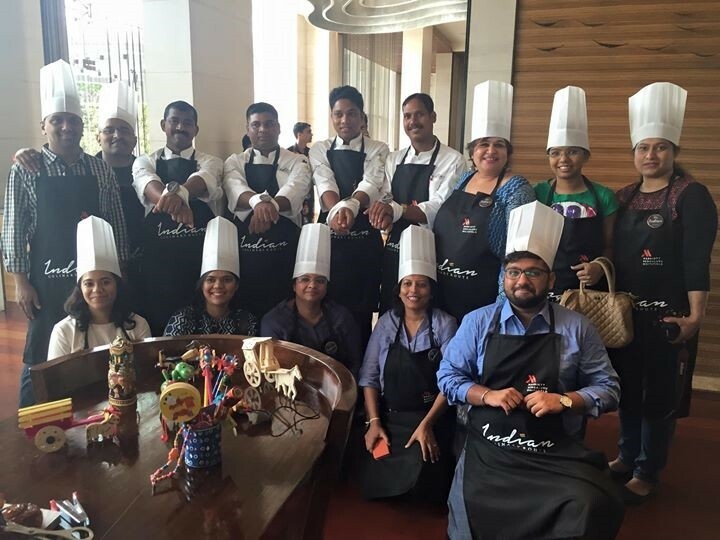 12 Chefs from 12 cities of India will put their expertise together to create some extra-ordinary magic with food. From Delhi’s Chole Bhature, Pune’s Vada Pav or Aaloo Parantha from Chandigarh, Bengaluru Marriott Whitefield will have it all under one roof cooked by our talented team of chefs. In a 7 day galore, the hotel will bring on table different dishes with an authentic taste of flavors and spices from across the country. The fine dining restaurant M Café will host a dinner buffet from 7th to 13th September with 13th serving the last lunch. 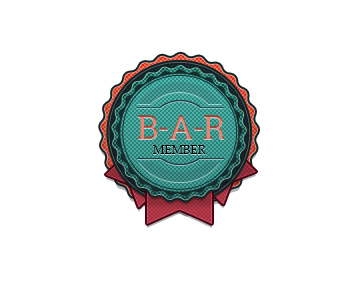 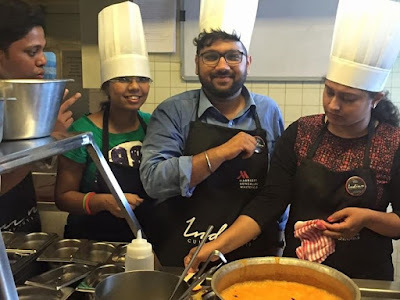 The buffet will have a wide spread variety of delicacies from Delhi, Chandigarh, Musoorie, Jaipur, Ahmedabad, Pune, Chennai, Lucknow, Kochi and Goa. 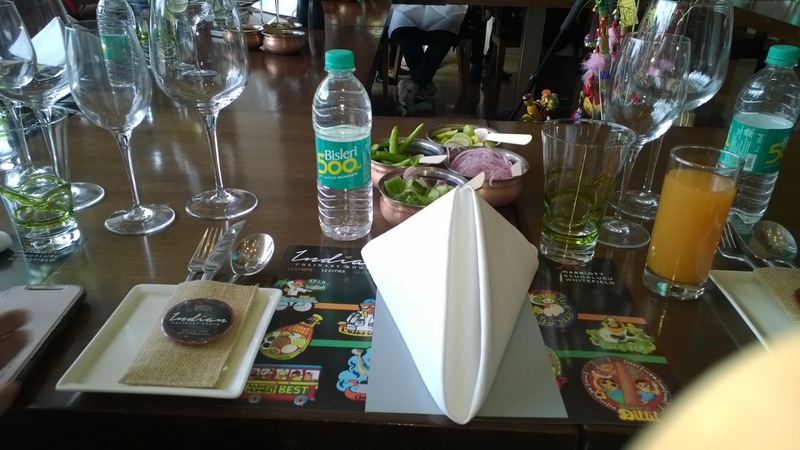 Each chef will prepare 3 authentic dishes from their specific region consisting of a Main Course, Starter and a Dessert. 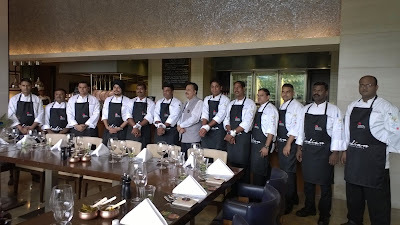 The Chefs who would be joining the bandwagon are Chef Deepak Rana from JW Marriott Mussorie, Chef Dinesh from JW Marriott Chandigarh, Chef Rohit Yadav from JW Marriott Delhi, Chef Ranjit from Marriott Jaipur, Chef Mitesh Saraiya from Courtyard by Marriott Ahmedabad, Chef Prashant Suryavanshi from Courtyard by Marriott, Hinjewadi, Chef Thirumal from Bengaluru Marriott Whitefield, Chef Madhusudan from Marriott Hyderabad, Chef Satish Reddy from Courtyard by Marriott Chennai, Chef Saji from Marriott Kochi, Chef Shanavaz Qureshi from JW Marriott Mumbai, and Chef Selester from Marriott Goa. 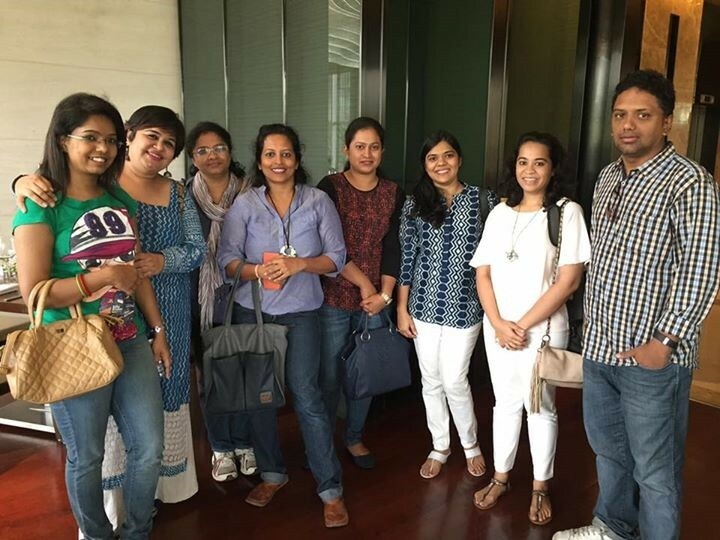 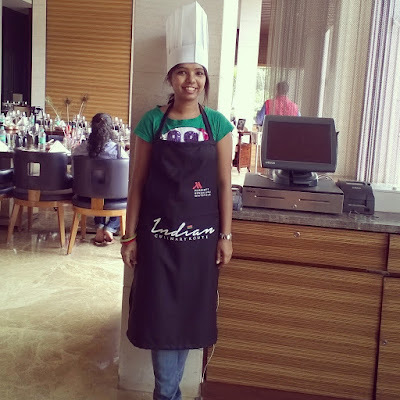 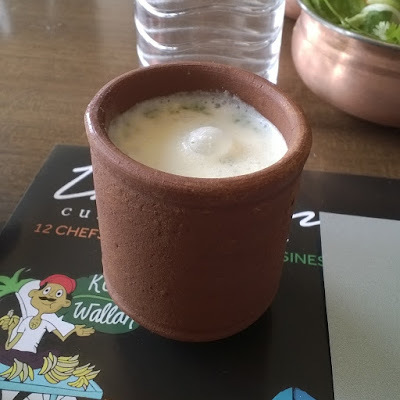 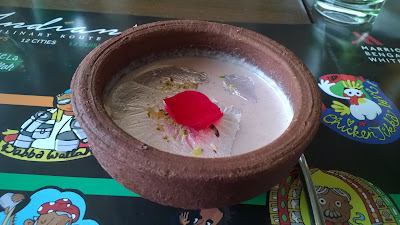 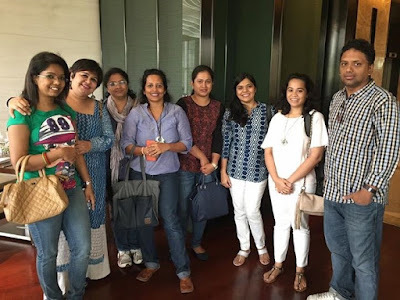 On September 7th, I joined Bangaluru Marriott Whitefield for a cook off competition along with other bloggers from Mumbai and Bengaluru and the competition was judged by Suresh Hinduja. 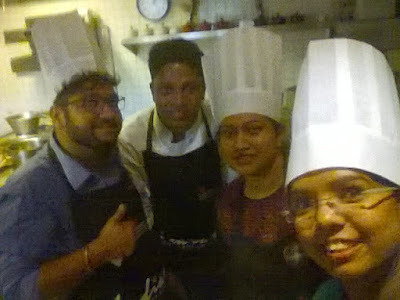 In my team, Me, Adarsh from The Big Bhookad and Subhasmitha from The Flavours of Kitchen cooked Goan Prawn curry under the guidance of Chef Selester from Marriott Goa. 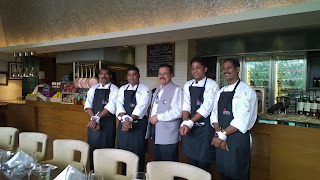 Chjef Selester and other chef's who were guiding the bloggers, were hand-cuffed and were not allowed to touch. 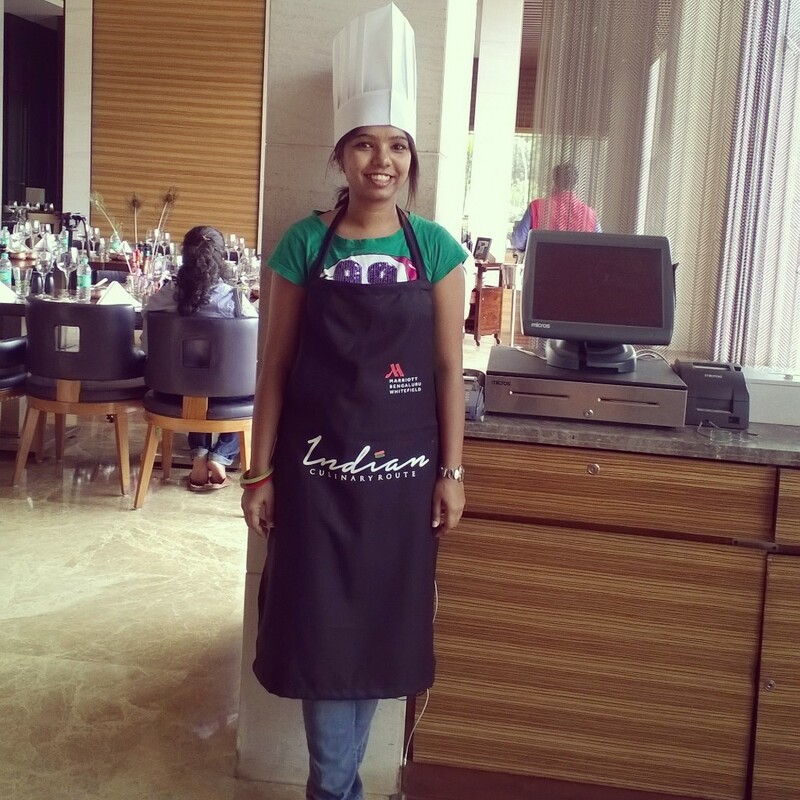 It was a good learning experience and really fun to cook in the Marriott Kitchen and have a healthy competition. This was followed by lunch which was cooked by all of us.